In a Nutshell: As a community bank, Avidia keeps the customer at the forefront of its decisions. That’s why the bank supplies a diverse offering of personal credit cards to its customers. Between its Classic, Gold, Platinum, and new NEPGA World Elite Mastercard® options, Avidia has something for consumers in every credit range — from those with little-to-no credit to the biggest spenders. The bank also boasts a hearty rewards program with options for 2 or 3 points earned for each dollar spent. With similar offerings for small and large business alike, Avidia ensures its customers are getting a variety of credit card options to choose from. As a young college student, my very first credit card was, well — let’s just say less than impressive. With a high rate, high annual fee, and basically no rewards, it was a necessary but stark way to begin building my own credit. Of course, over the years, I’ve been able to establish my credit history, build my credit, and move into a much more appealing realm of credit card options. But as a young credit-builder, I would have loved to have had an option like Avidia Bank’s Mastercard Classic at my disposal. With its reasonable rate, access to rewards and low annual fee, the Classic Mastercard offers surprisingly attractive features for a card intended for those with little credit history. Similarly, Avidia’s Gold, Platinum and NEPGA World Elite Mastercards — its offerings for the middle and high range credit score holders — are impressive as well. We spoke to Rita Janeiro, Avidia Bank’s Senior Vice President for Community Banking, to further explore the bank’s credit card offerings and impressive rewards program. Although the name, Avidia Bank, has only been around since 2007, it is the product of a merger between two very established Massachusetts financial institutions — Hudson Savings Bank and Westborough Bank — that both trace their histories back to 1869. Today, Avidia is headquartered in Hudson, Massachusetts, and is a $1.5 billion mutual community bank. 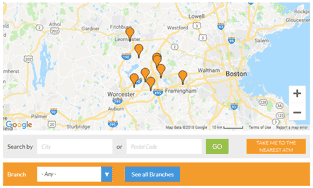 With locations in Hudson, Westborough, Clinton, Marlborough, Northborough, Shrewsbury, Leominster, and Framingham, Avidia Bank now covers a large swath of east-central Massachusetts. According to its website, Avidia is passionate about the communities it serves and, as part of its role as a community bank, it founded the Avidia Charitable Foundation in 1997. 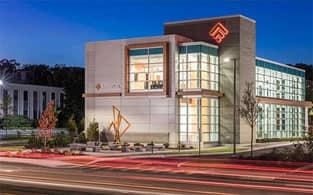 “With investments in technology, Avidia offers Mobile banking with check deposit, bill pay, transfers, and the option to pay other people electronically,” according to the website. Janeiro presented a brief rundown of Avidia’s four consumer credit card options: Mastercard Classic, Mastercard Gold, Mastercard Platinum, and NEPGA Mastercard World Elite. She also delved into who the cards might be best-suited for, and some of the benefits that go along with them. She said the most basic card, the Classic, is for people with lower FICO scores and people with little-to-no credit or experience with revolving credit. The card comes with a $25 annual fee and 17.90% APR. Cardholders also receive access to the Avidia Rewards+ program, and double points for each dollar spent. Janeiro said the bank tries hard to make a credit card available for just about anyone, especially within its communities. Moving on to the Mastercard Gold, Janeiro said this offering is suited for those who have a little more credit history. This card also comes with the benefits of the Avidia Rewards+ program with double points, but has no annual fee. The current rate of 11.90% may vary with the market, based on the Prime Rate. The Mastercard Platinum comes with an introductory APR of 3.90% for six months, then moves to 10.90%, and is subject to variation based on the Prime Rate. Platinum cardholders also receive access to the Avidia Rewards+ program with double points. Finally, Janeiro said Avidia’s newest offering — the NEPGA Mastercard World Elite — gives the bank a way to reward the highest spenders. 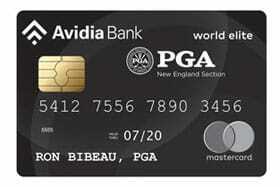 The card is the result of a partnership between Avidia and the New England Professional Golfers’ Association. Again, the NEPGA World Elite card comes with no annual fee and a variable APR equal to the Prime Rate, plus 5.74%. Janeiro said NEPGA World Elite holders also receive triple points in the Avidia Rewards+ program for every dollar spent. Janeiro said her favorite features of the Avidia card offerings come down to a combination of the low rates and Avidia Rewards+ program. Avidia Bank has 10 locations across east-central Massachusetts. The cash back option remains very popular with Avidia Rewards+ customers, she said, and the bank recently added the option to use it as a credit toward any checking account, not just Avidia. “So now, cardholders are able to pick where they want that cash back to go,” she said. Customers can also earn points for travel when booking through ScoreCard. Avidia customers can also accrue rewards points at a rate of 1 point for every $3 spent, by using their Avidia Bank debit cards. Credit card and debit card rewards points can accrue in a single rewards account. And, as mentioned above, with the ability to earn double and triple points, a hefty rewards balance can accrue quickly. “We’re really a full-service community bank in that we offer these consumer cards, but we also offer business cards,” Janeiro said. Just like on the consumer side, the NEPGA World Elite Mastercard card comes with triple points toward the Avidia Rewards+ program for every dollar spent, Janeiro said, while the other business credit cards also receive respectable double points for each dollar. Avidia Bank’s Framingham branch celebrated its grand opening in 2017. 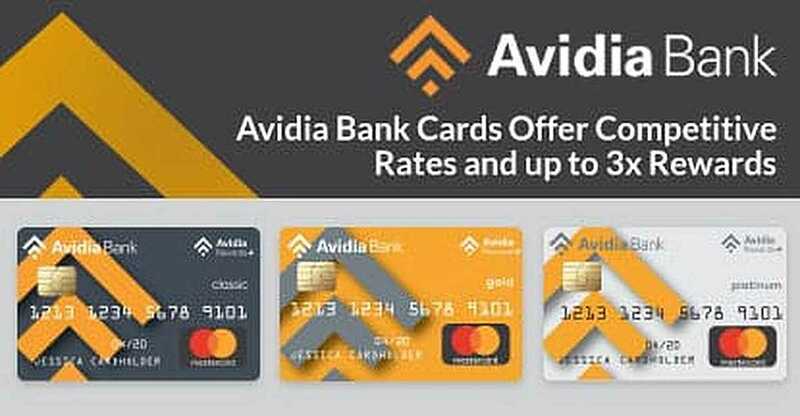 The Avidia Bank Business Mastercard’s APR is a variable rate equal to the Index Rate plus a margin of 6.49%, according to the Avidia website. Business NEPGA World Elite cardholders receive many of these same benefits, but also gain airport lounge access and a personal travel consultant. Customers will also earn 16,000 Avidia Rewards+ points upon activation of the NEPGA World Elite card. Avidia is also a proud participant in Massachusetts’s Small Business Banking Partnership, according to the bank’s website. The program was launched in 2011 by the Massachusetts Treasurer’s office “based on area community banks’ willingness to loan money to small businesses.” The program allows for the deposit of at least $100 million of state money into community banks, that then use the funds to lend to creditworthy small businesses to bolster jobs and to help grow the businesses. “Avidia Bank currently has created 24 loans and $3,389,339.25 is being lent to small businesses in our community,” according to the website. Avidia Bank is also a Preferred Lender with the Small Business Administration (SBA) and is an active SBA lender. Janeiro said small businesses have always been very important to Avidia, but big businesses have a place with the bank as well. “We have many larger businesses that take advantage of our corporate credit card, which is also very competitive, and is also part of the rewards program,” she said. Thankfully these days, I’m not relegated to the bleak and rewardless options presented to me when I secured my very first credit card. And luckily, for those who are in a similar place in their credit-building lives as I once was, they now have an option like Avidia Bank to turn to. But, as we’ve seen, between the Classic, Gold, Platinum, and NEPGA World Elite, Avidia’s credit card options run the gamut for every type of consumer and credit level. It’s also nice that they each come with access to the impressive Avidia Rewards+ program and a minimum of double points for every dollar spent.